A Sineva intercontinental ballistic missile has been successfully launched from the Verkhoturye strategic nuclear-powered ballistic missile submarine deployed in the Barents Sea, the Russian Defense Ministry reported on Saturday. 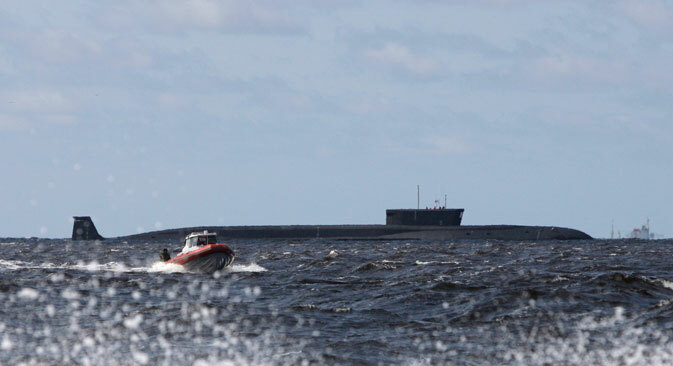 "The crew of the Northern Fleet's Verkhoturye nuclear-powered ballistic missile submarine led by Cap. 1st Rank Dmitry Zelikov successfully fired a Sineva intercontinental ballistic missile (ICBM) from an assigned area in the Barents Sea upon the Kura range in Kamchatka on December 12," it said. "Readout data confirmed that the missile's warheads successfully reached the designated area at the Kura test range in the Kamchatka Peninsula," it said. How is Russia keeping its planes safe in the Syrian skies?